Traditionally, the Rongai Route’s premier advantage has been that it is the quietest route on the mountain, however one of the reasons that it is so quiet is that the likelihood of summitting on this route on the conventional six and seven day schedules is the second worst of all the six official routes because there are no topographical features that allow the ‘climb high / sleep low’ principle to be exploited, even if one incorporates a rest day that features a modest acclimatisation excursion (such as on Martina Navratilova’s unsuccessful attempt). Typically, crew members that we speak to that work with operations that use this route report a failure rate of around half the climbing group. For this reason we were unwilling to schedule our own groups on the Rongai Route until in 2007 we succeeded in developing our first unique variation on the route that was able to incorporate more climb high / sleep low differential than any of the existing established routes. From February 2007 until August 2010, we enjoyed unimpeded success along this quiet and exclusive route, with 992 climbers enjoying its benefits, and with rates of success that significantly exceeded all alternative route options. By 2010 however, it transpired that our movements had been being carefully observed by a small handful of other operations that evidently aimed to share our success on the trail, and which now began offering our route also. Although TK Rongai works within the bounds of Tanzania National Park’s governing document that regulates the use of Kilimanjaro National Park - the General Management Plan - the reaction of the park authorities to the realisation that other operations were now attempting this route, was not positive. Their concerns became justified when a weakened and mildly hypothermic member of staff became detached from one of these climb groups. Happily, one of our teams was able to assist him and he was safely returned to his group a day after being lost, however, the event highlighted the not insignificant danger associated with operations that have more lenient methods of selection and training in using the route. The reason that our original TK Rongai Route, that is ‘Variation A’, is necessarily more dangerous for inexperienced members of mountain staff to operate, is that whereas on conventional routes where there is much less deliberately imposed topographical contrast between successive camps, and if a porter is lost, sick or tired, he can usually either forge on without significant discomfort, or else descend back to his last camp and usually expect to find other parties there, conversely , with TK Rongai a porter is required to rise some 700 vertical metres, fully laden, before being able to descend to rest. Such demands far exceed what is necessary on other routes, even where a climb high / sleep low feature is deliberately incorporated, such as the Lava Tower on the Machame Route. On Machame, most non-TK porters (who mostly will not coordinate a 3 course lunch break under shelter for climbers at Lava Tower, as TK do) are not required to visit even the base of the Lava Tower, before the long descent to Barranco. Instead they can switch right a good 160 vertical metres short of the Lava Tower and from there can already begin their descent to their rest point, Barranco. In order to optimise both the climber’s enjoyment of their environment and to maximise the likelihood that they will reach Kilimanjaro’s summit, Team Kilimanjaro’s methods on the mountain have been developed in such a way as to minimise all unnecessary duress on the climbers while they are acclimatising. This measure serves to reduce the necessity for breathing rates to rise while under exertion, any more than necessary. The rationale for this is that an elevated breathing rate produces an artificially high (relatively speaking) CO2 reading as sensed by the body’s chemo-receptors, and therefore slows the process of acclimatisation. In order to minimise duress and at the same time maximise climbers’ hydration, nutrition and rest (key components of safe and thorough acclimatisation) we are required to deploy such techniques as sending fast teams to race on ahead and have food and shelter prepared for climbers before lunch-time, and of course, to move in directions that virtually all other operations deliberately by-pass (unless they are specifically trying to emulate us, as in the above example). With these enhanced demands ever in mind, TK is therefore necessarily selective about who we employ to serve in our core teams (though occasionally weight value disagreements between our staff and KINAPA will require us to pick up non-TK members at park gates, against our will, and our necessary acquiescence to this imposition should not be perceived as a contradiction of our position). To this end, Team Kilimanjaro applies a stringent selection process for new porters that have not reached us via direct working experience with established members of staff that are willing to vouch for and oversee them. An example of such a pre-selection opportunity for prospective new porters who have applied to be attached to one of our teams on a probationary basis, can be seen in the video at right. 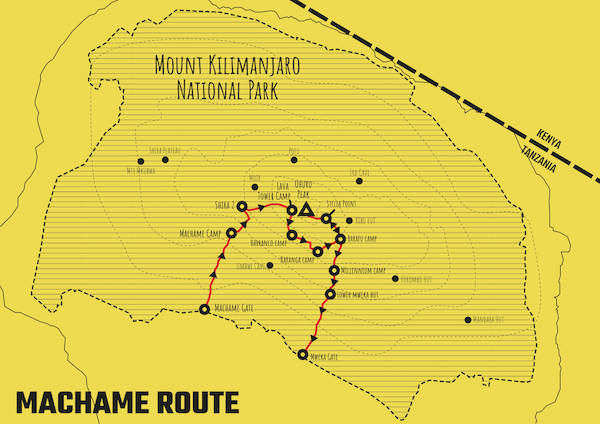 As already alluded to, whereas formerly we had enjoyed exclusive access to TK Rongai and no crowding whatever until the assault start point at Barafu, once in 2010 other operations began to copy our use of the route, the challenge of calculating the absolute optimal route selection on Kilimanjaro became more complicated. Optimal route selection needs to factor in several considerations, and since these are not constant, but variable, the optimal choice amongst the several variations of the TK Rongai Route that we now use, will of course vary and will depend on the office’s and your guide’s joint assessment of anticipated crowding at any particular camp or along a section of route; the fluctuations in the availability of water at proposed camps along the route; the physical condition and pace of the climbing group (bearing in mind that the desire to obtain optimal acclimatisation should not be pursued at the expense of exhausting the limited reserves of any of the members within a climbing group); and of course, the weather. In plain terms then, at one time your guide may favour your prospects via Horombo and Barafu, if say, he has received information that crowding on the Marangu Route will likely result in congestion between Hans Meyer Cave and Gilman’s Point, or if the mountain has suffered a lack of precipitation recently and he knows that there is a localised shortage of water at 3rd Caves; whereas on another occasion he may have been made aware that the western routes (Shira, Lemosho, Machame and Umbwe), which all converge at or before Barafu, are particularly congested, and may even have been briefed by the authorities when registering, or at one of the huts along the route, (where a ranger has received an update via radio from KINAPA’s HQ at Marangu) requesting that Barafu be avoided for this reason. In this event, where a party is in good physical condition, your TK guide may still decide to press on over Mawenzi and descend to Horombo, so as to achieve the best possible acclimatisation, but then to switch north from there and proceed to School Huts. Alternatively, if he feels that the group risks exceeding their physical capacities and that therefore the effort expended by the climbers to achieve the highest possible level of acclimatisation, is going to compromise precious reserves that ought rather to be conserved for the summit bid, he may reduce the climb high / sleep low element on that day, proceed to 3rd Caves (water permitting), and compensate for this loss and the detrimental effect that it would have on preparing climbers for their summit bid, by aiming to arrive early into School Hut, implementing an extended pre-assault acclimatisation excursion as far towards Hans Meyer Cave as possible (without risking over-exertion), so as to purchase some quality rest and conditioning prior to the assault, and then to allow time to regain maximal reserves after this excursion, he may delay the usual midnight start for the assault, to a dawn start instead. (This latter technique is often very helpful for young children who generally tend to struggle with sleep deprivation in darkness). The summary verdict that we would very much hope that our climbers would arrive at with us, is that we have aimed to be diligent in investing considerable time and effort in order to become intimately acquainted with TK Rongai, and are confident that where a climb group is willing to trust a Team Kilimanjaro guide to make these judgements on their behalf, by booking a TK Rongai climb, they can rest assured that every conceivable measure and consideration will be taken to ensure that their prospects for enjoyment and success are maximised, and that whichever variation of TK Rongai is employed, the result will be dramatically superior to that of using the traditional Rongai Route (which offers virtually no exploitable topography and therefore a failure rate of around half)*. Note that there will be extremely rare occasions on which delays imposed on a group as a result of their choice, or necessarily, insistence, to spend a second day at the same camp, in the hope that a sick group member will convalesce sufficiently as to be able to continue the ascent with the rest of the group (though this will seldom ever be beneficial, for reasons that we are willing to discuss via email) that it will become logistically necessary to regress to the traditional Rongai Route. We feel bound to mention this as being a technical possibility, however as far as we are able to recollect, this has only ever happened once. 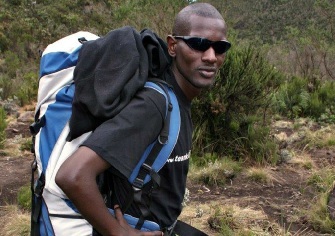 Want to See Photos of our Trekkers on the TK Rongai Route? We keep an archive of all our climbs. See our TK Rongai Route images. Interested in the quietest route on the mountain?